The pregnant country star and mom of two credits commenters on social media for some valuable tips. 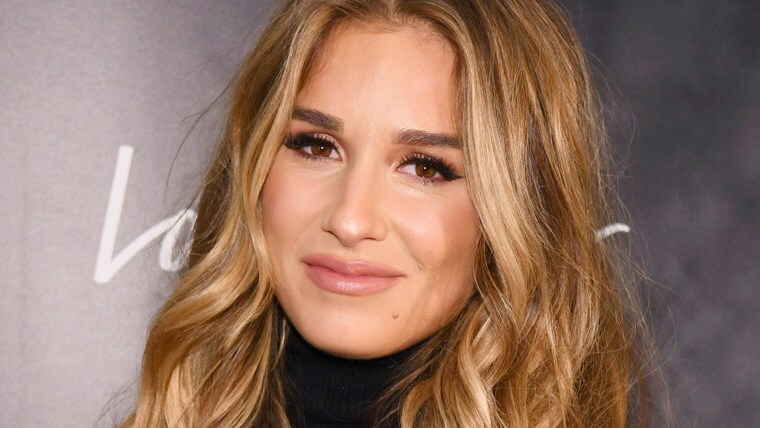 Jessie James Decker is eagerly anticipating the birth of her third child — and so are her adorable daughter and son. After welcoming Bubby in 2015, Decker shared an honest photo of her post-baby body to encourage other moms not to be too hard on themselves — and she maintains that positive outlook. Decker isn’t shy about sharing sweet family moments with her 2.7 million Instagram followers. And while internet trolls can be quick to criticize celebrity moms on the social-media platform, Decker says she’s actually gained a few valuable tips from commenters. Decker, who’s due in March, says this pregnancy has been easier than her first, but not quite as smooth as her second. While nausea is her least favorite part of being pregnant, she’s also cherishing this time. Decker has a busy schedule with her music career, reality show and her own fashion line, Kittenish. She does experience mom guilt — and that’s OK.
“I think everyone puts pressure on themselves in one way or another,” she said. “I always feel guilty when I leave to go work. I don’t leave that often and if I do, I’m not gone more than 48 hours and my mom watches them, so the kids don’t even think they’re being babysat. But it’s pressure and it’s guilt and we all have it. But I always say, if you feel guilty and get that anxiety, that means you’re a good mom. Cause if you didn’t, that means you didn’t care. So think if you feel that guilt, pat yourself on the back. You’re a good mom because you obviously care enough to be worried about it."